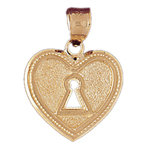 Marvel at the impeccable design and magnetic appeal beaming from this adoring 14kt gold key pendant. Three luminous circles combine to form the bow of this enticing 14 karat gold key with an exceptional detailed shaft, prefect for unlocking those mysteries while adding a sense of sophisticated style to your selected gold necklace. 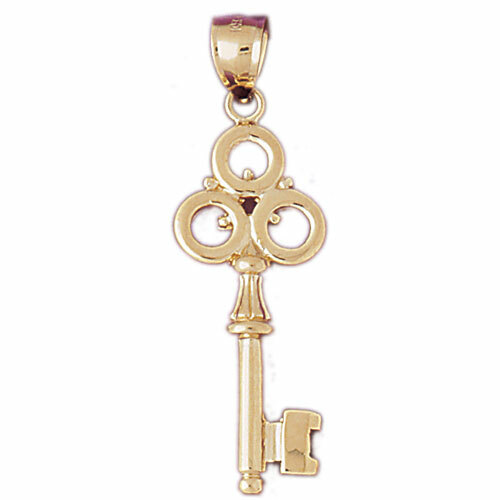 Pendant is crafted out of polish finish with open back design; it measures 5/8 " wide by 1 7/16" high and weighs approximately 6.0 gram(s). Highly recommended to be worn as a necklace.